A few months ago, I had a falling out with my son. Now he and his wife no longer let me see my grandchildren, even though I saw them at least once a week before our fight. Is there anything I can do? 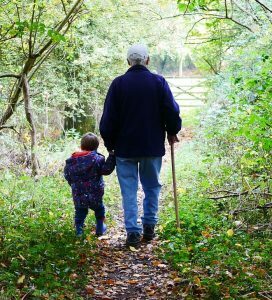 In intact families, the rights of grandchildren to have access to their grandparents are even more restricted. On the whole, the courts are of the opinion that the parents are in the best position to make decisions regarding their own children. Therefore, unless there is a concern about the parenting abilities of the parents, or it can be proven that the children are suffering greatly without contact with the grandparents, it is more difficult for grandparents to obtain a contact order. When a family is intact, grandparents seeking contact must make two separate applications to the court: they first obtain the “leave” of the court to make application for a contact order, and then they must apply for the contact order. If I want to apply for leave to bring an application for a contact order, what must I show? the necessity of making an order to facilitate contact between the child and the grandparent (i.e., is there any other way for contact to occur?). What happens after I get leave? Must I also apply for a contact order? the guardian’s denial of contact between the child and the grandparent is unreasonable. There is no assumption that children have a right to a relationship with their grandparents. The judge must be satisfied that such a relationship is beneficial to the child. Once I have a contact order, must my grandchild’s guardian allow me access to my grandchild, and what should I do if my grandchild’s guardian still does not allow me access to my grandchild? A contact order is like any other court order. It should be obeyed. For the sake of the long-term relationship, if at all possible, you may wish to consider addressing the situation without making use of law enforcement and without a court battle. However, if this is not possible you can apply to the court for help in enforcing your contact order. This is known as an “enforcement order.” Once you have such an order, the police can help you enforce the order to obtain the contact with your grandchildren. If you have a lawyer, seek his or her advice as soon as possible. Can I change the contact order later, if I need to? Yes, you can apply to the court to vary, suspend, or terminate a contact order, or any part of it. The application must be made either by the person who applied for the order in the first place or a guardian of the child. The court will not change the arrangement without careful consideration. Before the court varies a contact order, it must be satisfied that there has been a change in the needs or circumstances of the child. In making a variation order, the court shall consider only the best interests of the child. You should NOT rely on this webpage for legal advice. It provides general information on Alberta law only. June 2010.